The world of business is tough – and getting tougher every day. In today’s environment of cutthroat competition, only the most motivated individuals survive. 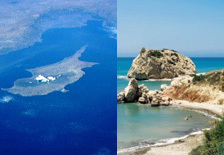 Reason enough to stimulate your employees and associates with an exciting incentive trip to Cyprus – with the support and assistance of INCEMA TRAVEL! We will never distort your ideas or concepts – we will simply implement them and enrich them with innovation and creativity. Our thorough understanding of your incentive objectives will deliver an exceptional programme that will inspire your group members. We are proud to have the key and contacts that will open hidden doors for your team. Privileges and pleasures that are transformed into effective incentives… and powerful motivation. © Copyright 2009 Incema Travel Ltd . All Rights Reserved.